Doctor Who fans looking to keep their collection of Daleks up to date should swing by Midtown Comics and order up a batch of these New Paradigm Daleks vinyl toys. These collectibles measure 6.5″ tall and are made by Titan Merchandise, and are based on the latest wave of Daleks, seen in the last few seasons of Who. 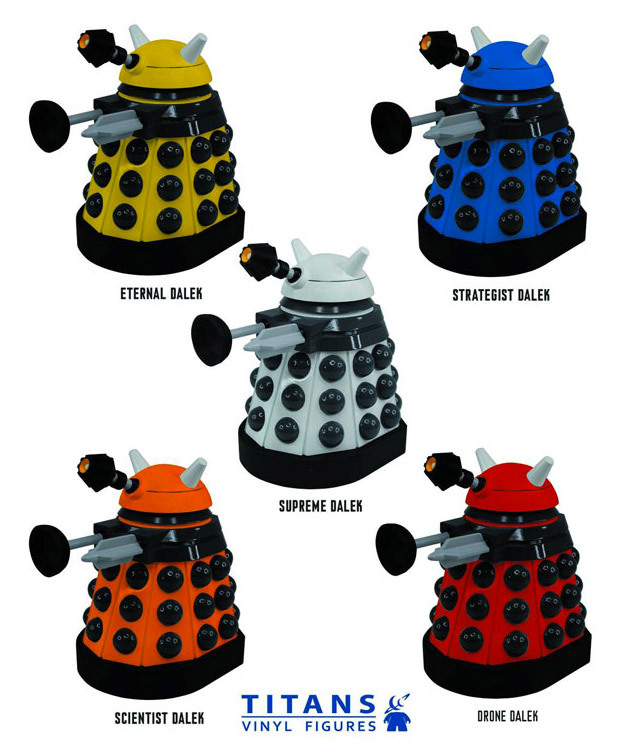 Choose from the yellow Eternal Dalek, Blue Strategist Dalek, orange Scientist Dalek, red Drone Dalek, or the grey Supreme Dalek.